The rent at Summit Pointe Apartments ranges from $909 for a one bedroom to a $1,341 three bedroom. Apartments in this building are about 19% more expensive than the Greenwood average. This is a pet-friendly apartment. 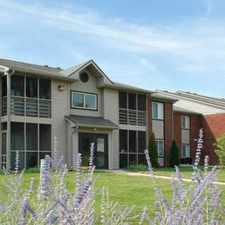 Summit Pointe Apartments has a Walk Score of 8 out of 100. This location is a Car-Dependent neighborhood so almost all errands require a car. 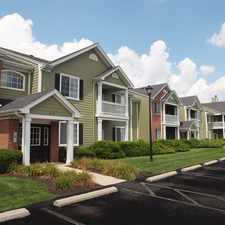 Summit Pointe is located just east of the heart of Greenwood, and minutes south of downtown Indianapolis, with wonderfully characteristic and vibrant areas within a quick drive, surrounded by entertainment, shops, and the best restaurants around. Summit Pointe, with its newer development designs and amenities will surely make you want to call this south Indy community home. On entering the clubhouse, you will immediately sense the special attention to detail that makes you feel like you can jump right in and become part of this wonderful community. Summit Pointe invites you to enjoy the clubhouse, 24-hour fitness center, and our beautiful pool at your leisure. Pets are welcome too! We invite you to take a tour of the large floorplans and envision all you can do and experience here at Summit Pointe Apartment Homes, Greenwood, IN. Explore how far you can travel by car, bus, bike and foot from Summit Pointe Apartments. Summit Pointe Apartments is in the city of Greenwood, IN. Greenwood has an average Walk Score of 21 and has 49,791 residents.